Poised to dramatically impact human health, biomedical microsystems (bioMEMS) technologies incorporate various aspects from materials science, biology, chemistry, physics, medicine, and engineering. Reflecting the highly interdisciplinary nature of this area, Biomedical Microsystems covers the fundamentals of miniaturization, biomaterials, microfabrication, and nanotechnology, along with relevant applications. Written by an active researcher who was recently named one of Technology Review’sYoung Innovators Under 35, the book begins with an introduction to the benefits of miniaturization. It then introduces materials, fabrication technology, and the necessary components of all bioMEMS. The author also covers fundamental principles and building blocks, including microfluidic concepts, lab-on-a-chip systems, and sensing and detection methods. The final chapters explore several important applications of bioMEMS, such as microdialysis, catheter-based sensors, MEMS implants, neural probes, and tissue engineering. 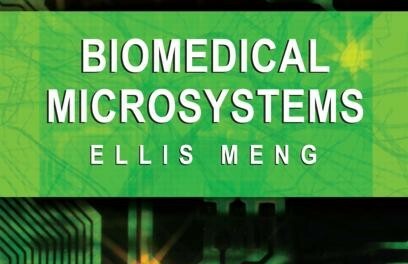 For readers with a limited background in MEMS and bioMEMS, this book provides a practical introduction to the technology used to make these devices, the principles that govern their operation, and examples of their application. It offers a starting point for understanding advanced topics and encourages readers to begin to formulate their own ideas about the design of novel bioMEMS. A solutions manual is available for instructors who want to convert this reference to classroom use.